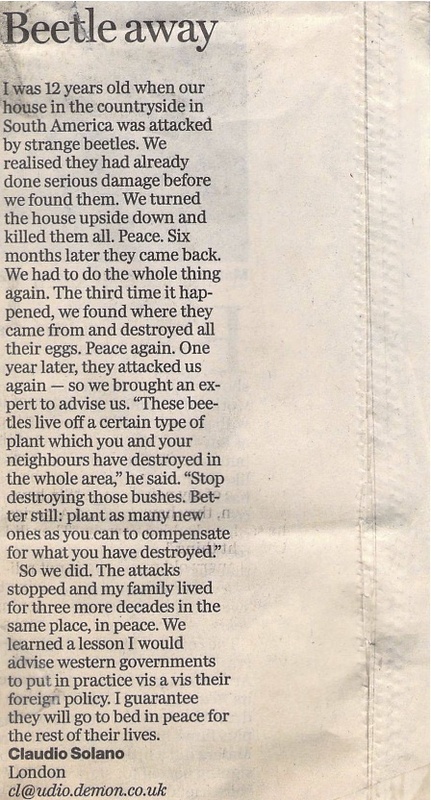 An interesting letter I clipped from The Guardian many years ago. I couldn’t find it online so am not able to date it. So we did. The attacks stopped and my family lived for three more decades in the same place, in peace. We learned a lesson I would advise western governments to put in practice vis a vis their foreign policy. I guarantee they will go to bed in peace for the rest of their lives.